Shopping is a way of relaxing and chilling to many moms. But for some, like me, it is a big challenge. See, my son has sensory issues and many products out there that he would find comforting or soothing are also cost prohibitive. This is a huge bummer because often, when kids with this condition get less or more of what they need, it results in tantrums and meltdowns. But Target has yet again, come to the rescue. Target’s children’s home line, Pillowfort, just rolled out a new 20-piece collection of sensory-friendly products and each and every item is priced between $20 and $100. In response to customer feedback, the collection caters to the needs of parents who want stylish but affordable and accessible items for their little ones. 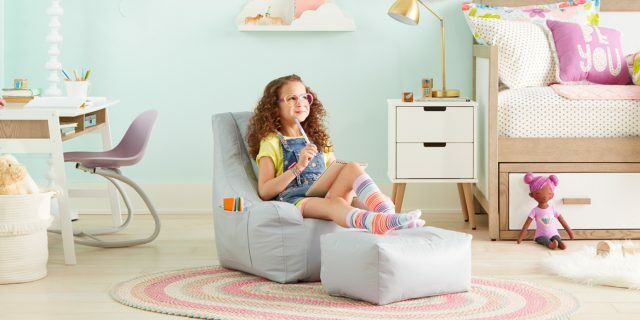 In addition to weighted blankets and floor mats, there’s a hideaway tent ($50) for kids who feel calmer in a quieter and cozy space, a velvety bean bag chair ($66.99) which can be shaped into various positions to suit a variety of comfort levels and a rocking activity chair ($49.99) which rocks back and forth to allow for a calming experience. Most of the items on the line are easy to transport so that kids can take them from room to room or even travel with them when you are heading to unfamiliar surroundings. This isn’t Target’s first time Target has taken sensory sensitivity into consideration. In 2017, the company created a tagless, flat seamed clothing for its Cat & Jack line and back in 2016, they offered quiet shopping hours for parents with kids living with autism. They even have a line of adaptive apparel for those with various challenges.